St Brendan's dreams of reaching the All-Ireland intermediate final are over after they fell to a heavy defeat to Clontarf at Duggan Park in Ballinasloe on Sunday. Three goals in each half gave Clontarf an easy passage to the All-Ireland intermediate final as they hit the Connacht champions early and never relented. Caoimhe O’Connor kicked a point before striking the first goal on three minutes. And she added another as Aoibhe Bell, Siobhan Killeen and Sinead Quigley (2 ) added green flags for the rampant Dubliners. Fiona Skelly and Niamh Hetherton gave Clontarf a 1-3 to 0-0 advantage against the wind on 13 minutes, as St Brendan’s struggled to gain a foothold in Ballinasloe. 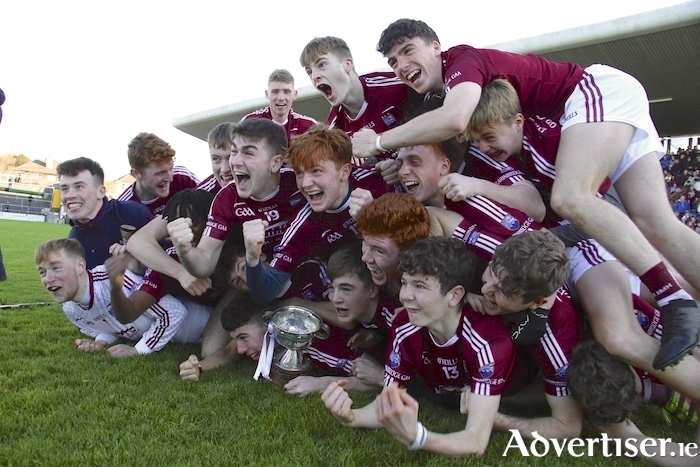 The Galway champions were getting chances but did not trouble the scoreboard. Michelle Delaney pointed a free on 14 minutes but when Rebecca Conway scored their second 12 minutes later, they were already 0-2 to 2-4 down. Killeen pointed before winning a kick out in the 23rd minute. Her delivery forced Sinead Kelly to clear off the line but Bell was perfectly placed to knock home the rebound. The third goal on 29 minutes was finished off by O’Connor and scores for Hetherton and Skelly gave Clontarf a 3-6 to 0-2 interval lead. Despite an early Delaney free in the second half, there was no comeback for St Brendan’s. Substitute Quigley got the fourth goal on 43 minutes before Killeen finished the fifth on the three-quarter mark. When Quigley concluded the goal rout nine minutes from time, Clontarf were 6-8 to 0-4 clear. The Ballygar/Newbridge team were resounding Connacht champions but Clontarf sent out an emphatic statement – as they marched on to set up an All-Ireland final clash with Monaghan’s Emmet Óg. Scorers for St Brendan’s - M Delaney 0-3 (3f ), R Conway 0-2, N Lohan 0-1. Scorers for Clontarf – Caoimhe O’Connor 2-1, S Quigley 2-0, S Killeen 1-3, A Bell 1-0, F Skelly 0-2, N Hetherton 0-2, S Fagan 0-1. St Brendan’s - Sinead Kelly; Sarah Kelly, M Mitchell, N Fahy; L Farrell, R McPhilbin, N Lohan; L Mulrooney, L Walsh; E Muldoon, N Ward, L Booth; S Langan, M Delaney, R Conway. Subs - L Greally for Langan (HT ), H Hevehan for Muldoon (HT ), A McDonagh for Farrell (42 ), M Doyle for Ward (42 ), S Flynn for Conway (52 ). Clontarf - Carrie O’Connor; K Fitzgibbon, K Murray, H Bolger; B Walsh, G Reilly, H McLaughlin; S Fagan, N Hetherton; E Plunkett, T Fitzgibbon, F Skelly; A Bell, Caoimhe O’Connor, S Killeen. Subs - S Murphy for Bell (37 ), S Quigley for Plunkett (40 ), C Roban for Hetherton (48 ), M Mohan for T Fitzgibbon (49 ), C Dunlea for Caoimhe O’Connor (51 ). Ref – G Chapman (Sligo ).